Blue and brown: who knew! These little treasures are playing so nicely together. Doncha think? Everything I see here is just spot on. Can't fault it. Can't even be funny about it. It's just too.... spectacular. Full marks. PS If you hate it? Please leave me a comment. I would love that! It would both baffle and bemuse me. Me Likey!!!!! For sure. Chocolate and aqua?? Bring it on in spades. 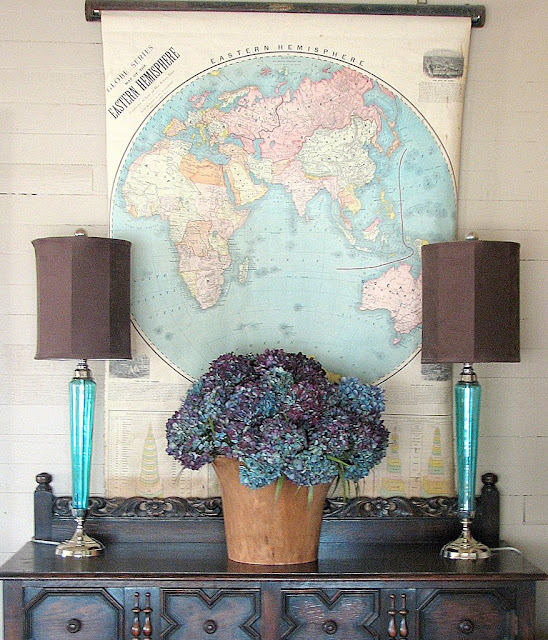 Put the map in a frame and the look will be complete!